Today’s leaders must be capable of maintaining peak performance over time as well as managing their well-being. “Mindfulness” is the practice of attaining a place of inner clarity of mind and peace of heart. Specifically, it’s about learning how to bring greater attention and focus to our moment-by-moment challenges, staying on purpose and present, and doing so from a non-judgmental state of mind. While Mindfulness’s focus is internal and very personal, there are huge benefits to one’s outer world, career, performance and ability to produce results. The more mindful we are, the better choices we make, and our capacity to engage in challenges and navigate them successfully is greatly enhanced. 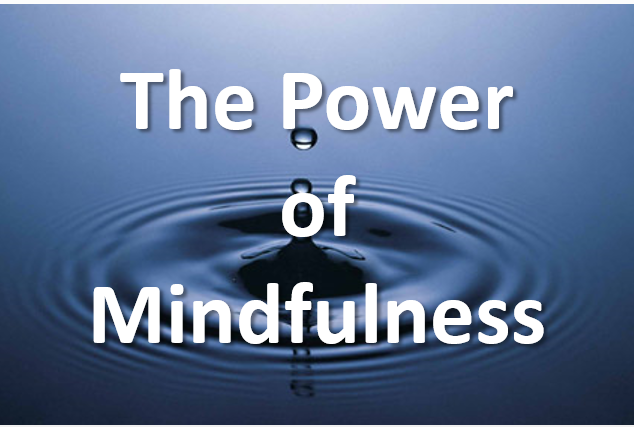 Download our "Power of Mindfulness" Whitepaper here. Parallels between the quantum world and mindfulness are drawn. Through engaging principles and interaction, attendees integrate “quantum leap” approaches into their leadership presence. The SupraSelf is introduced as a superlative inner resource capable of inspiring us to operate beyond our ordinary circumstances and into the reality of extraordinary results. Leadership mindfulness parallels drawn for performance and collaboration. Distinction between “Compliance” and “Collaboration” mindful approaches. Leaders must be capable of developing themselves at a rapid pace to remain competitive in today’s global marketplace. The heightened state of “Supra-Awareness” enables leaders to expand their capacity to engage in challenges, operate more effectively in the face of paradox and confusion, and accelerate their ability to produce results through greater resilience and perseverance. Many leaders operate from the standpoint of making the best of their circumstances rather than from the generative approach of creating the circumstances they want. “The Context of Who” introduces a powerful understanding of the authentic source of our mindful selves, a source that dwells not within "Why" we are, or "What" we are, but "Who" we are. Understand the “Power of Context” and how it shapes meaning and results. Group exercise “Shift One’s Context of Trust” to collaborative engagement. Understand difference of “Who” we are, “Why” we are and “What” we are. Conventional leadership portrays “Vision” as a kind of forecasting and values alignment process, but nothing could be further from the truth. Vision is not a goal-setting tool, it is a generative stance from which results naturally flow. In other words, SupraVision is a place to “come from” rather than a place to “get to.” This shift redefines Vision’s capabilities and equips leaders with a powerful new way of approaching motivation, alignment and results production. Introduction of “SupraVision” a breakthrough in daily active mindfulness. The “Listening for Greatness” and “Speaking from Intent” mentoring model. Cumulative skills summary and “Teach the Material” integration process.